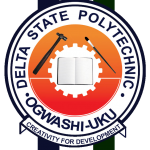 Delta State Polytechnic Ogwashi-Uku Full Time National Diploma, ND (Post-UTME) Supplementary Computer Based Test [CBT] Admission Screening Dates, Time and Venue for 2018/2019 Academic Session Out. This is to inform all Full-Time National Diploma, ND applicants of the Delta State Polytechnic, Ogwashi-Uku that the supplementary screening exercise/schedule for 2018/2019 academic session has been announced. The screening has been slated for 22nd November, 2018. Reprint your application form as from 20th November, 2018 for your schedule and come along with it. Time, Date and Venue for each candidates screening exercise are indicated on the slip. NOTE: Delta State Poly Ogwashi-Uku Post-UTME Screening Exercise is CBT.